Hicks Avenue, Cam – 3 bedroom mid terraced house. 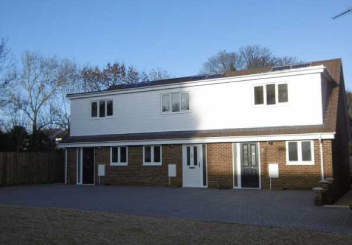 The property will be constructed by a well regarded and reputable local builder to a good standard specification. The property will have the benefit of under floor central heating and double glazing and insulation to a high standard. The well-appointed family accommodation will include entrance hall, well-proportioned living room, fitted kitchen and ground floor cloakroom/wc. On the first floor will be the three bedrooms and bathroom/second wc. Good sized garden and off road parking with two spaces to the property.